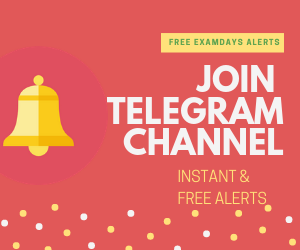 Heavy Water Board Stipendiary Trainee Answer Key 2019 Released: Heavy Water Board conducting Stipendiary Trainee category 1 posts examination on 24.03.2019 and category 2 posts exam on 31.03.2019, those who are given examination on both 24th March and 31st March can download the Heavy Water Board Stipendiary Trainee Answer Key accordingly. The Heavy Water Board Stipendiary Trainee Answer Key was uploaded by the official website hwb.gov.in. 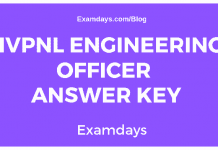 Candidates those who are appearing exam for both category 1 and 2 posts, candidates have to download the given category posts answer key from below provided answer key link. Candidates have to visit the official website link and navigate to “What’s New” and check the category wise posts information and select the category 1 and 2 posts answer key 2019. 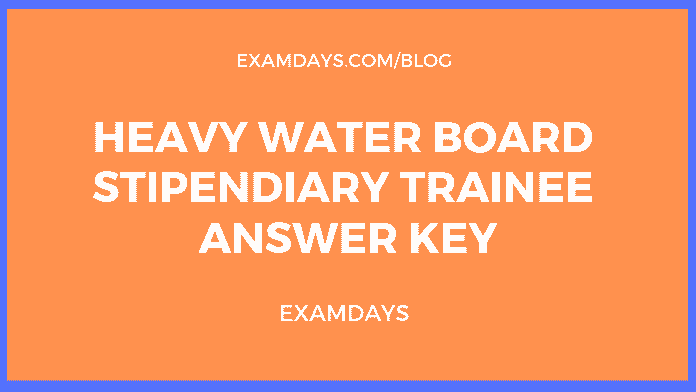 Download the Heavy Water Board Stipendiary Trainee Answer Key 2019. Count the number of marks secured in category 1 and 2 posts. Heavy Water Board conducting Stipendiary Trainee category 1 posts examination on 24.03.2019 and category 2 posts exam on 31.03.2019.